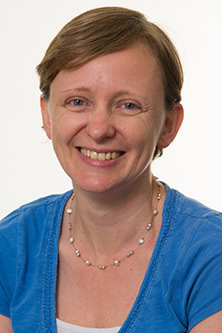 The Centre for Language and Communication Science Research at City, University of London welcomes Caroline Newton from University College London as part of its 2018-19 Research Seminar Series, to discuss her work on the impact of challenging conditions on speech communication in adults with aphasia. Everyday speech communication typically takes place in challenging conditions which negatively impact various levels of speech processing. Particular demands posed by such environments include variability in both listening conditions, such as interference from background noise, and in speaker characteristics, such as an unfamiliar accent. Additional difficulties may arise as a result of listener-related limitations, such as reduced hearing acuity or language disorder. For adults with aphasia, therefore, everyday conditions present particular difficulties which may lead to problems participating in social activities and returning to work. In this talk, I will discuss a series of experiments that explore the impact of unfamiliar accent and noise on speech communication in adults with aphasia and what strengths and weaknesses in these challenging conditions reveal about the auditory processing abilities of this group. These results have implications for the quality of speech communication in a variety of environments (e.g. hospitals), so I will also consider how processing strengths may translate into strategies which ameliorate the difficulties faced. Caroline Newton is a clinical linguist; her research focuses on the application of linguistic theory and analysis to disordered speech and language, and the contribution of communication disorders to the understanding of speech and language processing. Caroline’s particular interest is in communication beyond the level of the single word and in everyday contexts, and includes work with both children and adults with a variety of communication difficulties. A light lunch with refreshments will be provided from 12:45pm, the seminar will commence at 1pm.